Just as my latest Le Blanc 2016 and Le Rosé 2017 Pays d’Oc IGP Chartier, which were born of my newly acquired maturity as a producer, merchant and vintner—at the vine and in the cellar, and with the help of Bordeaux oenologist Pascal Chatonnet—, the 2012 vintage of my new red Fronsac Bordeaux is a prime example of this evolution, as were those 2015 rosé and 2014 white. Bearing new labels that reflect the importance of the terroir in my approach, this new “vigneron” Bordeaux vintage differs from the 2010 and 2011 vintages due to vine lots with a better location in the hills of the Fronsac controlled designation of origin (A.O.C. ), just a stones throw to the West of Pomerol and Saint-Émilion, as well as with a higher proportion of very old Cabernet franc vines, which bring elegance, fruit and brightness to the warmth and texture of the merlot. The origin of the lots we selected, on the hilly terroirs of the Fronsac appellation, as well as the stunning maturity, at least for this vintage, of the cuvées we assembled for this 2012 vintage, give it an unprecedented aromatic definition that is exceptional for its rank, as well as a fruitiness that is bright with ripe and extra fine tannins. Plums, red fruit, button mushrooms, white pepper and coffee all play a part in the aromatic profile of this accomplished wine that I am very proud of. Just as my new Rosé 2017 Chartier, which is the result of a newfound maturity in my work as a producer, wine vintner and merchant from the vine to the cellar—, and with the help of my usual collaborators, the 2014 vintage of my Langedoc white displays the same noticeable evolution. The bottles are now decorated with new labels that express the importance of the terroir in my new approach, and this new white wine, which was born of the 2014 exceptional Languedoc vintage, distinguishes itself from its two forebears by a higher proportion of Chardonnay as well as the use of the Viognier varietal for the first time. Apricots, peaches, white flowers, honey and coconut are all part of its aromatic profile. As for its forebears, also, this vintage was elaborated at Clos des Augustins, a biodynamic culture domain located in the Pic Saint-Loup appellation. 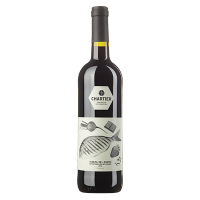 This Spanish red is the perfect balance between the mineral earthy classicism and the modern fruity approach of Ribera del Duero wines. Born of very old tempranillo vines, it is very colorful, aromatic, mature and deep, with notes of black fruit, mild spices, smoke and roasting. Its mouth is dense, full, textured and quite voluminous and rich, which opens the door to countless pairing possibilities but where grilled meat is king. As with other Chartier wines, the label shows you the aromatic paths that should inspire you! Because of their altitude, the Vinsobres vineyards, located at the northern limit of the southern valley, give this red wine freshness, with elegant tannins and a complex aromatic profile (olives, pepper, floral), reminiscent of the syrah from Saint-Joseph and Crozes-Hermitage, to the north, but devoid of the heavy jam notes typical of the southernmost areas. Borne of the terroir located in the Maremma area, to the south of Florence and Bolgheri, this Tuscany Sangiovese expresses the full, textured, luscious mellowness that is the very definition of Tuscan. The aromatic profile, here, is in line with plums, coffee, cloves and Thai basil. "Where no wine as gone before!" "Ribera del Duero 2012 Chartier, Spain: For this wine, the renowned sommelier has collaborated with bodegas Arrocal to create a most civilized version of the local tinta del pais that expresses itself freely with an obviously joyous fruitiness and, above all, that measures up guilt-free to its barrel aging, yielding a tight frame finale." Le Devoir, Jean Aubry (March 2014). "Chartier's Toscana is so good, I would gladly pay $30-$35 for it!" Salut Bonjour! and Journal 24H, Philippe Lapeyrie: "Chartier's wines are eminently digestible wines, just as they are aromatically expressive and quite representative of their respective areas of origin and varietals. These wines will be anyone's secret weapons for wine and food pairings. (…) His Languedoc white is pure, oily and straight to the point! His Côtes-du-Rhône red is chock-full of fruit and the syrah that it contains is balanced just right. I love it! His Fronsac red, stemming from the superb 2010 Bordeaux vintage, is quite typical of right-bank merlots. As for his Tuscan red, composed of sangiovese, cabernet and merlot, it is, by far, my favorite of the lot! La Presse+, Karyne Duplessis (September 2013): "The sommelier strived to create wines that would be representative of their appellation: a Fronsac merlot for the Bordeaux region, an oak-aged white from the South of France, a typical Côtes-du-Rhône blend, and a Tuscan sangiovese. And that's not the only common thread between the wines in his range: all have a very refreshing acidity devoid of excessive aging in casks. The Pays d’Oc IGP 2012 white, $18.95: I can't wait until lobster season is back to enjoy this wine with the king of crustaceans! The nose is aromatic with a peach dominant. The mouth is rounded, almost hefty and powerful. Here too, peaches and apricots express themselves through a most pleasant acidity. In other words: it's good! 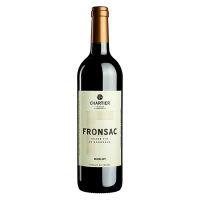 Fronsac 2010, $19.95: This merlot is, in my opinion, the best of Chartier's reds. Born of an exceptional grape harvest in the Bordeaux region, it's a tasty wine with notes of blackcurrant, earth and bell peppers. Compared to the others, its mouth has more body and length. Nice job! Casa TV, Jessica Harnois (October 2013): It's done! Once again, François Chartier reinvents himself. This incredibly talented man never ceases to amaze with his creativity and audacity! Fidèles de Bacchus, Alain Lebel (October 2013): Les Fidèles de Bacchus attributes its wine of the week award to the Fronsac Merlot 2010 by Chartier Créateur d’Harmonies. Magazine Gault & Millau, Cristophe Casazza (October 2013): "French magazine Gault et Millau praises the Chartier range of wines"
Magazine Clin d’œil (October 2013): "The Chartier range of wines are part of the Top 40 can't miss things of the fall"
Magazine Elle Québec (October 2013): "François Chartier, the most famous Québec sommelier launches a range of 4 wines crated specifically for our favorite dishes. Easy-peasy food and wine pairings for all!" Magazine Véro (October 2013): "After a bona fide revolution in the realm of aromatic families with his book Taste Buds and Molecules, sommelier François Chartier presents his own range of 4 excellent wines!" Magazine Décormag (October 2013): "François Chartier, the renowned Québec sommelier, introduces his own range of wines: four French and Italian vintages that are the gateway to perfect wine and food pairings." April 2016—François Chartier “Créateur d’harmonies”—who’s spent the last 25 years criss-crossing the world to visit vineyards and taste over 60,000 wines—innovates yet again. Consecrated Best sommelier in the world in French wine and spirit (Grand Prix Sopexa, 1994 Paris), Chartier’s wines have been available at Quebec SAQ since 2013 and he has acquired a lot of maturity as a vintner and wine merchant, allowing him to work even closer to the vine and its terroir. 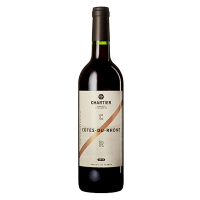 Chartier acquired this maturity through his collaboration with Bordeaux oenologist Pascal Chatonnet who helps with the selection, assembly, aging and bottling of his European wines. From vintage to vintage—his 7th since the introduction of his Toscana in 2009—Chartier has been fine-tuning his selection method, which he increasingly does directly at the vine, as well as his elaboration and cellar aging methods. His wine production know-how is deeper than ever and he has adapted his vision of cellar work through collaborating with wine-growers who share their ancestral knowledge. 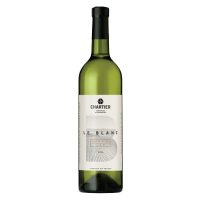 The result are “new” Chartier wines that are even more inspired by their terroirs and the passion that inhabits their producer. To further underscore this newfound maturity in vine and cellar work, Chartier also decided to revisit the visual identity of his “New Chartier 2.0 wines”. 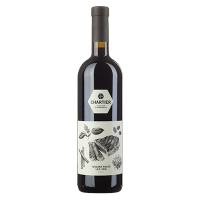 The first bottles of this new wine are decorated with newly redesigned labels that reflect Chartier’s approach to the terroir. 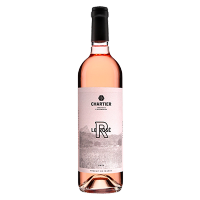 The first of those new wines—available at SAQ since April 4—is Le Rosé Chartier 2015 Pays d’Oc IGP which was bottled in Pic St-Loup, France. Chartier’s other wines—Fronsac, Côtes-du-Rhône and Blanc Pays d’Oc IGP—, all of which have evolved as a result of his work on the terroir and in the cellar and also displaying the new visual identity, will follow suit later this spring and summer. Then, later this fall, new vintages of his Toscana Rosso, Ribera del Duero and Verdejo de Rueda will arrive at SAQ to round out his range of seven “new” wines. In the meantime, let’s not forget the previous vintages of this range of seven wines elaborated by François Chartier “Créateur d’harmonies” available in all SAQ outlets since 2013. This first wave of wines created by and for the table aimed at simplifying wine and food pairing. Their labels showed images of the ingredients belonging to the aromatic family which inspired each of them and which are the keys to preparing meals that are successfully paired with them. “Historically, producers have come up with food and wine pairings after the elaboration of the wine. But thanks to my knowledge on this topic and the aromatic science I have created, I was able to elaborate my wines by thinking about the pairings before rather than after. To achieve this, I’ve selected, assembled, aged and bottled wines that shared an aromatic profile with a wide range of ingredients, thus facilitating a perfect harmony between them and my wines, making food and wine paring easy for everyone. And since my wines were created by and for the table, I made a choice of creating digestible and ready to drink wines, although they all offer a good bottle aging potential for maximum enjoyment with your meal and the expression of the typicality of the soils, climates, vintages and varietals, in other words, wines that are perfect examples of their appellation,” says vintner and wine merchant François Chartier. Having criss-crossed the world to visit vineyards for the past 25 years, Chartier decided to create his own ranges of wines: two ranges are available at Quebec SAQ, Alberta and Saskatchewan Sobeys Liquor Store, one exclusively at Quebec IGA, another exclusive to Fairmont Château Frontenac as a private import, and a fifth one is also on its way for another exclusive project. He chose to elaborate all of his ranges of wines with smaller but renowned wine growers and he collaborated with world renowned consulting Bordeaux oenologist Pascal Chatonnet who previously collaborated with Chartier while he was writing his best-selling book Taste Buds and Molecules, which was consecrated Best Cook Book in the World—Innovation Category award at the 2010 Gourmand World CookBook Awards in Paris and its rights have since been sold in many countries.